Pricing: Stay 6 nights and your 7th night is free! Luck of the Irish Special Rates Irish Rose Bed and Breakfast Click for Details... Come and stay at this elegant, lovingly restored home, conveniently located downtown. Each of the three guest rooms is individually decorated and has a private bath. Enjoy spa tubs, cozy gas fireplaces, original art work, a gourmet breakfast and more. Drive the breathtaking Beartooth Highway to Yellowstone National Park. Whether you enjoy hiking to a beautiful waterfall or a relaxing walk alongside a rushing stream, whitewater rafting, horseback riding, biking and more, Red Lodge has it all. Fine restaurants, live entertainment, unique shops and other attractions are within easy walking distance of the Irish Rose. Following your day’s activity, relax by the garden at the Irish Rose. COME VISIT US! 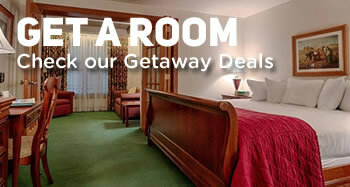 Prices starting at $149 per night for 2 guests in one room (MINIMUM 2 NIGHT STAY). Tax and TBID are added. The Irish Rose can accommodate 6 or 7 adults, plus 3 children (max: 9 guests). Telephone Gordon at (406) 446-0303 to reserve your getaway at the Irish Rose.